This 12x12 double sided High Gloss Lacquered Paper has an assortment of Journal Cards on the frontside with a Pattern of Moons & Stars on the reverse side. Look for coordinating Designer Papers. 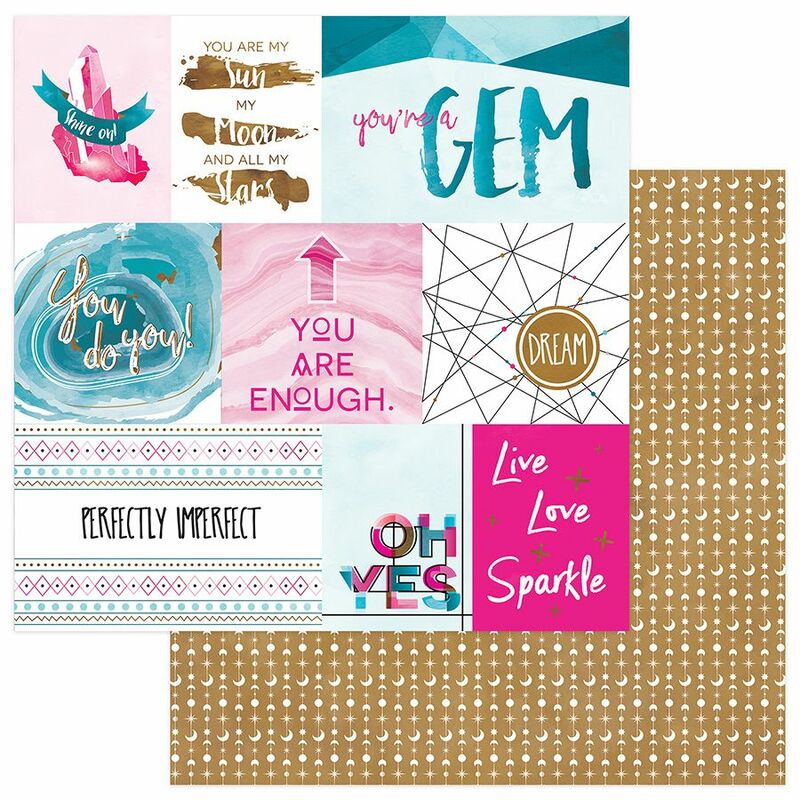 This is a mini collection with three (3) Patterned Papers and a package of Ephemera Die Cuts. Collection by Photoplay Papers.